A long time ago, a post published at Smashing Magazine titled “What Web Designers Can Learn From Video Games” (see resources) opened my eyes about important and relevant reflections regarding the lessons that web designers could learn from video games. The article put video games into the level of game design and game design thinking, splitting the game into game elements and understanding the application of them into design of web interactions. But not only that. This perspective opened the paradigm of pleasurable and appealing interactions. Let’s say that the “fun element” became a very important component in the design of interactions. And with that, the relationship between interaction design and games became stronger. However games are not only fun. Actually, taking back principles of game design, the “fun element” is the cherry on the top of the cake, but not the most important. This is because games are basically rules-based systems and they can influence people’s behavior. No wonder people talk a lot about the concept of gamification (the use of game design elements and game design thinking into non-game contexts) as a way to extract the best of the game design components to apply into contexts that are usually boring. This is because gamification is about motivation. It’s making people do something that they are not very keen to do, but if we design this experience properly, then we will have a massive behavior change. In the middle of this conversation, UX appears to be the biggest challenge of the implementation of gamification. Well, as we know, UX could have a strong relationship with games and game-like activities. If we take as an example Hassenzahl’s Model, it is clear that good UX refers to a combination of product features (content, presentation, functionality, interaction), product character (composed by pragmatic and hedonic attributes) and a consequence, which enhances pleasure, satisfaction and it’s appealing to the user. Reference: Based on Hassenzahl (2008). Well, from my point of view it is clear that game elements could be combined to UX. For example, according to Hassenzahl (2008) “good UX is the consequence of fulfilling the needs for autonomy, competency, stimulation, relatedness and popularity” (Hassenzahl, 2008, pp14). If we put all those elements together they have a strong relationship to motivation. Therefore, it is possible to say that if we achieve good UX, we will be able to motivate the user to perform specific tasks. For that I will try to combine the elements of game design, gamification and UX together and try to bring a better perspective of all those concepts together. Just to mention, gamification is not a game, but a design process involving motivation. Games are rule-based systems. Remember that. Games are voluntary and engaging activities, created around rules, goals and achievements, which in the end it’s related to motivation, giving a purpose to the player. In this context, rules could function as the mechanics of the game. It is clear that without rules, things won’t function well and we could say goodbye to the pragmatic attributes of the product character. In gamified systems, rules are very important. Some authors give as example loyalty programs. The rules are clear: you consume, you earn points and you can exchange for something that could be tangible, or a lovely reward. So, if we think in terms of the experience of the user, the rules will determine the user’s touch points in a journey. In 2009, Starbucks launched My Starbucks Rewards, a mobile loyalty app that feature a fast way to pay and an incentive system to promote repeat visits. They utilize virtual points and virtual badges as rewards. In games, rules are a bit the same. Take Monopoly for example: the rules are that you need to pass through the board. If you fall in jail, you get out of the game, wait and come back, etc. It’s a combination of action, reaction and consequence. Simple like that. Technically in UX, we usually implement personas during the process of design. Some persona templates have the field for motivation very specific. In my point of view this is one of the most important information to think about. Now think about the user’s purpose while interacting with your new system, for example. In gamification, there is a classification of types of players: socialisers (motivated by relatedness), free spirits (motivated by autonomy), achievers (mastery), philanthropists (meaning), players (rewards) and disruptors (motivated by change). It’s a way to categorize the users according to their motivations. In games, they could be killers, socialisers, achievers and explorers (explore the game world). In UX this is related to a combination of pragmatic and hedonic attributes of the product, however the way the elements are balanced will depend on the persona’s motivations. Some authors say that the most effective way to persuade someone is through storytelling. Adding to this, the ability to tell stories not only make people do things, but they enhance their empathy for a person or subject. In UX, as we know, we have to tell the stories of the user, through storyboarding or through the user’s experience map (user’s journey). A high fidelity storyboard for a fictional app called Heartline. By Chelsea Hostetter. Once we define the personas that will play different roles in the current experience, it is important to identify the user’s journeys. In the case of games, a character usually lives in a fantasy world, driven by individual motivations. The idea of borrowing this concept from games is to amplify the idea of user’s journey into a more complex level. Imagine that you have a Hero who lives in a world and then something happened: he is called for an adventure, he defeats his enemies and he is rewarded. Where and how UX could make the life of this Hero better and simple? The state of flow is usually illustrated by the sensation of losing the sense of time. While performing an action, a person could be so focused that could even forget to eat. However the flow concept has more meanings. In games, flow could be represented as the balance between ability/skills and challenges provided by the game itself. The same is applied in gamified systems, through the exactly combination of ability and challenges designed. For this reason, the understanding of user’s abilities is crucial for a good experience. In UX, one of the main goals is to keep the user in the state of flow. As we know, people seek pleasurable experiences. In games and in game-related activities fun could be represented in levels. For example, according to Lazzaro, there are four keys to fun: hard fun (the moment of personal triumph), easy fun (curiosity), people fun (amusement) and serious fun (relaxation, excitement). In this situation, the involvement of actions such as communication, cooperation, competition, goals, strategy, repetition, collection, creativity, fantasy and exploration are related to each key of fun and specific emotions. Considering a project that involves the need of accomplishment, for example, the balance of those actions are crucial for the success of the designed interaction. For example, in this case, the application of elements that could enhance hard fun and goals, obstacles and strategies could be a way to improve the experience. The four keys to having fun with games, according to Nicole Lazzaro, one of the top women working in video games and a pioneering, leading figure in mobile and social games. This should be one of the first elements to think about while understanding UX. In gamification, feedbacks appear as loops. Strategically, this is used as a way to keep the user interested and in the flow state. As we know, giving feedback is fundamental to every interactive system. However, borrowed by gamification and game design, the concept of bringing them as loops could be useful to bring constant interactive actions and reactions from the user. Gamification is a design process that is related to persuasive design, because it makes people do things. 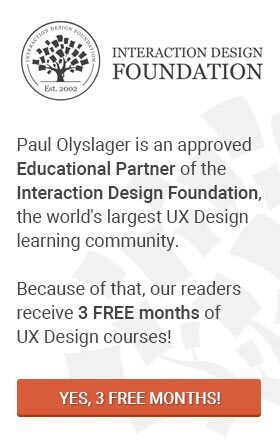 In UX, the design for persuasion could be applied in different parts of the process. In this situation, applying gamification into UX in order to make people do things is one of the biggest challenges in the area. The principles of persuasive design are part of something called Persuasive Technology. I strongly recommend that you see this presentation. 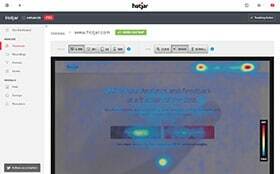 Considering Fogg’s principles of Persuasive Technology, it is necessary to balance the user motivation and ability, changing behaviour through a trigger, which could be anything that makes sense for the user and that will be designed by UX designers. So, while you’re designing interactions and products, you need to consider the goals of the application and the goals of the user, but considering motivational aspects. What is the behaviour that you want to target? Is that meaningful for the user? Why? BJ Fogg's modal states that for a desired behavior to occur (above the dotted 'action line'), the user must be sufficiently motivated, be sufficiently able, and there must be a sufficiently powerful trigger. Right. This is a beautiful thing. Let’s take as an example games that combine reality and digital elements. Those games, usually called as Alternate Reality Games (ARG) are a good example of how people solve problems together. One way to show this is through the game called I Love Bees, created by a group of designers including Jane McGonigal (if you’ve never seen her TED video now it’s the time), in which it was possible to interact with people from all over the world and solve problems together. This is something called collective intelligence, and it’s usually applied to citizen science experiences, which involves the same principle: together we can solve difficult problems. In UX, this could be applied during the process. As a teamwork, it is important to think as a group that share the same goal: solve a problem. As we saw, gamification as a design process that focuses in a behaviour outcome, powered by motivational aspects. The application of gamification in UX process is crucial for a more persuasive and meaningful experience. However there is still a lot to think about this topic. Also, in UX design management, gamification could be employed as a way to make the team to work better together. But again, this is all about motivation and all our understanding about it. So if you’re interested, have a look in the references mentioned in this post. I can’t wait to see what will come next! Hassenzahl, Marc. “User experience (UX): towards an experiential perspective on product quality.” Proceedings of the 20th International Conference of the Association Francophone d’Interaction Homme-Machine. ACM, 2008. McGonigal, J. (2011). Reality is broken. Jonathan Cape, London. View other posts by Vanissa Wanick. Interesting persona types for gaming versus marketing and UX personas!